As configured in this review, the X100e costs $605, more than netbooks and closer to the ultraportable category. A similarly spec'd Acer Aspire AS1551-5448 sells for $519.99 on Newegg. This nets you an extra 1GB of memory, a 100MHz slower CPU and a drop to Windows 7 Home Premium 64-bit. At the end of the day, if you desperately need a netbook-sized computer with more processing power than an Intel Atom single core can provide, but can't afford to drop a couple hundred bucks more, the X100e is a solid buy. If you can spare the extra cash, though, you might be best looking at a true ultraportable. At the end of the day, however, it's not all about performance. Lenovo markets the X100e as a professional grade system for businesses and schools, with worldwide support, support for corporate operating systems, advanced manageability features, and a number of very robust warranty options. If you're looking for an ultraportable/netbook to roll out to your company or institution, the X100e might be a very smart choice. So yes, it's last generation tech. It runs hot, and it only lasts about five hours on the battery. But the ThinkPad X100e is also exceptionally well-built and incredibly easy to use, upgrade, and service. For many users these aren't going to be big enough perks to make up the difference in price between a faster unit from a competing vendor, but there are going to be some users out there frustrated by slow ultraportables with mediocre keyboards. At £550 the notebook may be pricier than rivals, but you can save money if you're prepared to settle slightly more basic specs. Second tier battery performance aside, if you want a very usable notebook, with above average performance, the Lenovo ThinkPad x100e is worth serious consideration. If battery is your priority go for the MSI Wind U160 instead. The Lenovo ThinkPad X100e with the AMD Turion Neo X2 processor feels like a completely different laptop than the X100e with the older single-core processor. The single biggest failing of the single-core X100e was lackluster performance and the newer dual-core processor completely resolves that problem. This configuration of the ThinkPad X100e is so much nicer in terms of real-life use that I have to wonder why Lenovo decided to offer the single-core version at all. If you want a well-built, 11-inch notebook with good performance for less than $600 then I would not hesitate to recommend the ThinkPad X100e with the AMD Turion Neo X2 dual-core processor. Yes, there are larger notebooks available at the same price with better performance, and there are some 11-inch notebooks that have better performance if you're willing to pay significantly more, but the ThinkPad X100e hits the "sweet spot" of portability, performance, and price. Lenovo offers dual core models of the ThinkPad X100e for $499 and up, and given my experience with this laptop that’s a pretty good price for what you get. Unfortunately, the AMD chips used in these laptops are already dated, and I suspect you would get better performance and similar battery life out of a newer laptop with a dual core AMD Athlon II Neo K325 processor.vOn the other hand, the Lenovo ThinkPad X100e with an AMD Turion Neo X2 dual core L625 processor is reasonably fast, gets reasonably good battery life, and has an excellent keyboard. If you’re looking for a thin and light notebook designed with a business-class look and feel, the X100e is one of the most affordable options on the market. 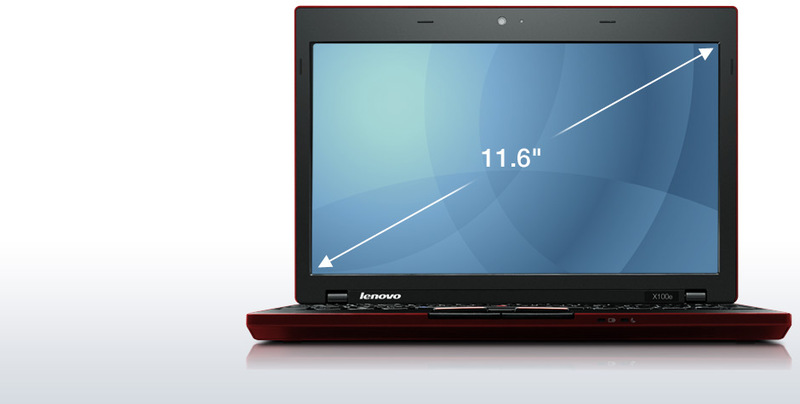 And good luck finding another machine in this price range with Lenovo’s TrackPoint system. While its mixed levels of power and small size make it more akin to a netbook than a laptop, there's no denying the sheer quality of the ThinkPad X100e. By offering the key strengths of more expensive machines at a cheaper price, this is a truly great ultraportable for the price. Lenovo's ThinkPad X100e fits somewhere between a netbook and a full laptop in size and capabilities, and is also one of the lowest priced ThinkPads available. Lenovo's Thinkpad X100e is certainly more powerful than a netbook, and more usable thanks to its 11.6in display. However, its weight and price are comparable with some larger laptops with a 13in screen. Nevertheless, the X100e exudes a build quality rarely seen on other laptops, and many buyers will find this reassuring. Lenovo's Thinkpad X100e is certainly more powerful than a netbook, and more usable thanks to its 11.6in display. However, its weight and price are comparable with some larger laptops with a 13in screen. Nevertheless, the X100e exudes a build quality rarely seen on other laptops, and many buyers will find this reassuring. Notebooks that integrate hardware HDD protection, as X100e does, are scarce. Increased data safety which this protection provides will certainly be of interest to business users. One of the USB ports (coloured yellow) is an “Always On” port, which means that it can be used for charging other devices even when the notebook is completely off, in standby or hibernation state. The only condition to this is that the power source be the electrical network, and not the battery itself. The integrated webcam is very good, which means that the only thing you’ll need for high-quality video conferences is a good broadband connection. The final grade of ThinkPad X100e has to consist of two parts. One of them was under the jurisdiction of Lenovo and that one is expectedly very high. The only thing that should’ve been done from their side is the installation of a higher-capacity battery, which would’ve compensated to a certain extent for sizeable power consumption. The part provided by AMD hasn’t left such a good impression and Intel definitely wins the battle this time around. The idea of being able to own a ThinkPad notebook for just 400€ seems very good indeed, but one shouldn’t rush the decision. Those that require a light and compact notebook regardless of humble autonomy are rare, but if you’re among them, you’ll have little to reproach to Lenovo’s ThinkPad X100e. If you're familiar with the ThinkPad styling - acres of black highlighted by a flash of red or a tease of yellow - then just imagine it shrunk in the wash and you'll have the tiny X100e. Lenovo's previous X-series portables were approaching waif-like proportions, but the X100e takes the ThinkPad into new territory. Compared with these options, your £400-odd doesn't get you a machine with outstanding battery life, or great performance. So for some, the X100e might fall between two stools. But for conservative buyers, or those valuing robustness over whizz-bang features, and for those who find netbooks have too many compromises, the X100e is a strong contender. The ThinkPad X100e is an extremely well-designed business ultraportable that will no doubt meet the needs of most business travelers who are looking for a small, ThinkPad-quality laptop at a low price. That said, this configuration of the X100e falls short in two key areas: processor performance and battery life. Lenovo should have avoided using last year's single-core AMD processor and stuck with the latest generation of low-voltage dual-core processors from AMD. Lenovo will begin shipping the X100e with the dual-core AMD Turion Neo processors soon, and the higher performance and better battery life of the new processors will make the X100e a far more compelling option. As it currently stands, the ThinkPad X100e is a surprisingly solid little netbook (Yes, I called it a netbook. Sorry, Lenovo.) that would have been perfect if it delivered just a little more in terms of performance and battery life. This configuration falls just a little short of earning our Editor's Choice Award, but we still think it will be a popular choice for a number of business buyers. If you hadn't noticed, we really like the Lenovo ThinkPad X100e. 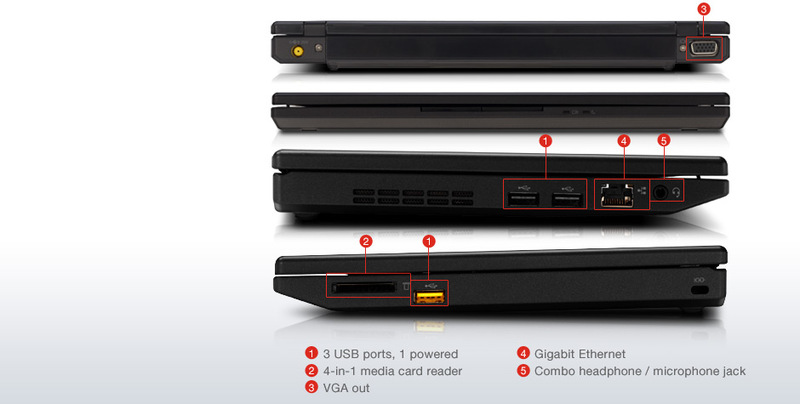 The classic ThinkPad cues that you're used to are all here (save for the blue Enter key), and while the port selection left some things to be desired (an ExpressCard slot, FireWire port, eSATA or HDMI socket would've been nice), the overall value cannot be overlooked with a starting price of under $500. It's built extremely well; it's rugged, tough, solid and rigid. For Rs. 29,000, the ThinkPad X100e is more expensive than most netbooks, but, it would be unfair to compare a ThinkPad to a standard run-of-the-mill netbook. Also, if you compare it with other ThinkPads, it indeed is the most affordable, as touted on the manufacturer’s website. A ThinkPad fan who wants an ultra-portable laptop for basic computing on the go, will most likely rule out the netbook segment and go with this new tiny entrant, despite the price difference. Is the Lenovo ThinkPad X100e a netbook or an ultraportable? The answer seems to be: a little of both. It's faster than most netbooks, with a larger, higher-resolution screen; a spacious keyboard; and a bigger hard drive than you'll usually find in lilliputian laptops. You pay for those extras, though. It's a little heavier than run-of-the-mill netbooks and has limited battery life. AMD's Neo processor makes this a speedy netbook, but forget about working all day on one charge. Despite having an iPad on our desk, a colleague recently paid a visit to expressly check out the Lenovo ThinkPad x100e. The ThinkPad x100e is essentially the ThinkPad Netbook users have been dreaming of, with one of the best keyboards we've ever tested. Unfortunately, its performance, though better than Atom Netbooks', comes at the cost of longer battery life. 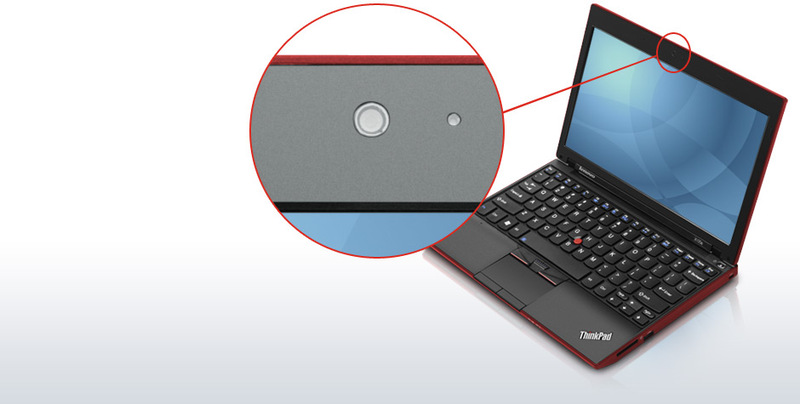 The X100e is Lenovo's first AMD-based ThinkPad and it is small enough to rival netbooks in size. The Lenovo ThinkPad X100e is a solidly built, small format notebook computer. The absence of an optical drive will annoy some, but if netbooks don't have quite enough oomph for you, and the money is available, this could be a good alternative. We wanted the X100e to stay on that virtual pedestal. We really did. But while it's impressive in many ways -- oh, that keyboard! -- its battery life and heat issues just cannot be overlooked. There's no doubt that for $549 the X100e packs more power and graphics than the average $399 netbook, but other 11.6-inch Intel ULV laptops, like the $400 Acer Aspire 1410, rock similar performance scores and run for about five hours on a single charge. We'd love to see Lenovo offer a version of the X100e with an Intel ULV processor, but we'd bet that for some, the X100e's extra horsepower and stellar ergonomics will be all it takes to hand over the plastic. Lenovo is no stranger to the netbook genre, after successfully launching the IdeaPad S10 series and the S12 ($500 direct, ). But it had yet to launch a legitimate netbook for business users, one that it can proudly call a ThinkPad—until now. Though Lenovo doesn't want it to be known as a netbook, the Lenovo ThinkPad X100e ($550 direct) has all the trappings of one. The Lenovo ThinkPad X100e is an ideal netbook for business, complete with speedy AMD parts, business software tools, and fantastic user experience. It’s the key interface elements of screen, keyboard and pointing devices that make recommending this mini laptop simple. It really is a treat to use when set against screen-cramped netbooks with undersized wobbling keyboards and ill-placed click buttons. Performance is also superior to your run-of-the-mill Atom netbook. But just remember that the AMD chipset means your unplugged runtimes will be far shorter than we’d prefer, especially when armed with such a generous battery pack. Overall, the X100e is a good lightweight laptop for the price. It's a low-cost ultraportable with more pep than a netbook , more room for typing, and a bigger keyboard than a netbook—the best keyboard in its class. It also feels more solid than competing systems and offers better graphics performance. However, we’d like this $569 AMD-powered notebook a lot more if it offered greater battery life and ran cooler. PC history has made it easy to assume every ThinkPad is black, expensive, and Intel-powered, but it's time to think again. Available in crimson, the ThinkPad X100e delivers a very usable 11.6-inch screen and full-size keyboard in a 3-pound package. This baby ThinkPad costs much less than Lenovo’s other corporate offerings. 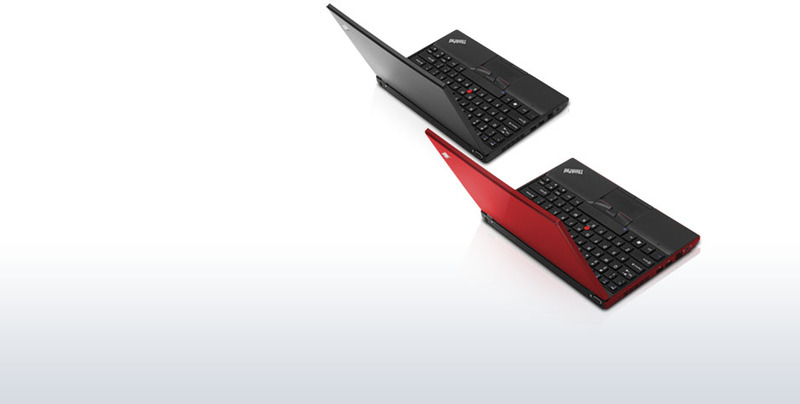 Just don’t expect the exemplary keyboard and performance that distinguish the ThinkPad line. Lenovo's ThinkPad X100e is a nice change from the standard netbook market thanks to the AMD Athlon Neo processor and its improved integrated graphics. It makes the X100e a nice mobile 720p HD video platform. The excellent keyboard, trackpad and display are all a step up from the average netbook. The downside is that the battery life is not near what the Intel based models can achieve and it does cost more than a similarly equipped Intel netbook. 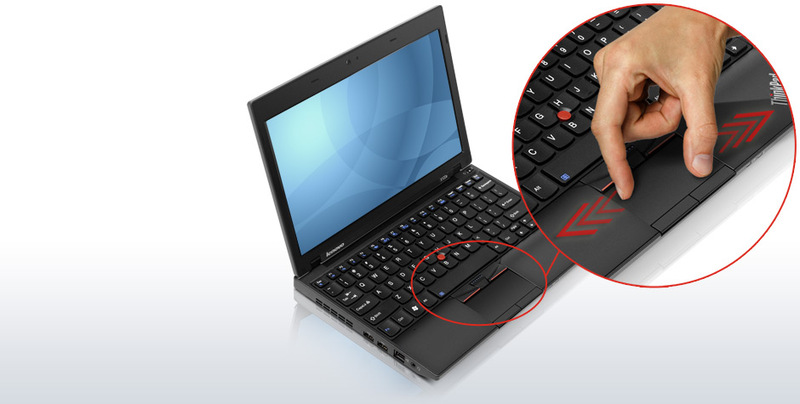 The ThinkPad X100e is a pleasure to use thanks to its excellent keyboard and usability design features. The nice bright LED screen coupled with the fact it is not glossy and reflective will be appealing to a lot of people. The overall design is perfect for business users or students at a professional school, think MBA or law student types. For the price of $450 you get a lot of the ThinkPad features you would expect, but without the price tag. At the start we wondered whether a comparatively budget notebook could deliver not only sufficient power for a mobile professional but tick all the boxes we’ve come to expect from ThinkPads. With the updated BIOS, the Lenovo ThinkPad X100e puts in a significantly stronger showing than regular Intel Atom netbooks, overshadowed only by middling battery longevity. Faster dual-core processors should increase performance even more, but we’ll have to wait and see what damage they might do to to runtimes. Lenovo's ThinkPad X100e is an ultraportable notebook aimed primarily at business users who want something mobile but affordable. It weighs only 1.5kg, has an 11.6in screen and costs around £400. It features one of the best keyboards in its class and it's also very sturdy. The Lenovo ThinkPad X100e is a very well built, sub-£500 ultraportable for business users. It's comfortable to use and reasonably fast, and, coupled with a global warranty, we think it's a great little laptop for travelling professionals. However, it could use better battery life. Lenovo's ThinkPad X100e is an ultraportable notebook aimed primarily at business users who want something mobile but affordable. It weighs only 1.5kg, has an 11.6in screen and costs $999. It features one of the best keyboards in its class and it's also very sturdy. Lenovo's ThinkPad X100e is a very well built, sub-$1000 ultraportable for business users. It's comfortable to use and reasonably fast, and, coupled with a global warranty, we think it's a great little laptop for travelling professionals. However, it could use better battery life. Eschewing fashion and fads for straightforward practicality, it’s little surprise to find legions of ThinkPads barracked in businesses across the world. After all, the Lenovo brand is almost a byword for durability, but one thing they’ve never been is cheap. The ThinkPad SL500 skirted around the £450 exc VAT mark, but as a chunky 15.4in laptop, it’s out of the question for those on the move. Combining netbook portability with Lenovo's ThinkPad quality, the X100e is an absolute steal. In the end, the new Lenovo X100e with AMD dual-core inside is a big improvement over the single core version. It keeps the good parts, including construction, chassis and keyboard, but takes performance, autonomy and heat/noise to another level. That makes it a desired product, especially since it is decently priced below 600 bucks. In fact, it was so appreciated by the guys at Notebookreview.com, that they gave it an Editor's Choice Award . 76.58%: This rating is not convincing. The laptop is evaluated below average, this is not really a recommendation for purchase.